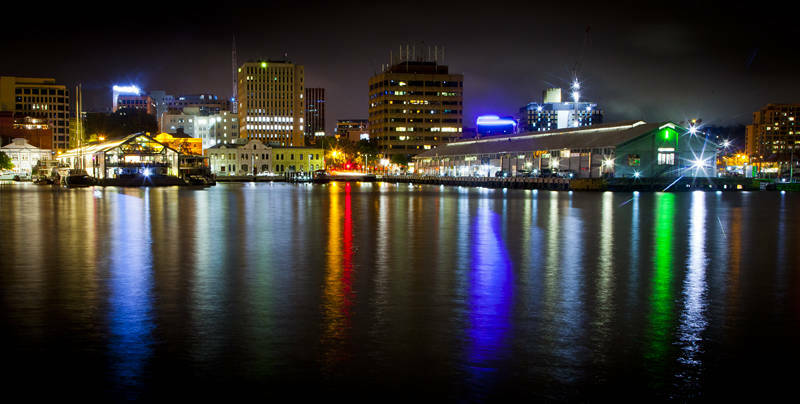 This night shot is Hobart in Tasmania, Australia. This photograph adds to the set of Australian Skylines I have been collecting since starting this blog almost 10 years ago. I always position the camera to get the city lights reflected in the water. A very small aperture was used to create a starburst effect. This reduces the amount of light so you need to use a tripod and a long exposure. Using this method you can avoid increasing ISO and therefore minimise noise. Now I only need a shot of Darwin to complete the set and produce a calendar for 2020. Today I arrived in the Blue Mountains and am looking forward to seeing my brother and his family who are visiting from the UK.